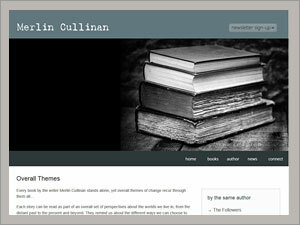 Merlin Cullinan books. Web Design by Bazil. Merlin Cullinan is a storyteller and writer whose books challenge you to change the way you see the world around you. Each Merlin Cullinan novel follows directions and destinies that can re-shape the ways you see the people and the places around you. Merlin Cullinan is a writer whose books reveal fresh and intriguing layers and perspectives as you get more involved in the details, twists and turns of each story. Mobile friendly site created maintained and hosted by Web Design by Bazil. © Web Design by Bazil. All rights reserved. • Privacy • Web Designers Guernsey.